It looks like Samsung will announce its latest flagship phone on February 24 at the Mobile World Congress event in Barcelona. The device, which is almost certain to follow Samsung’s naming convention and be called the Galaxy S5, has been teased with some heavy hints and invites to a press event. Mobile World Congress is the most significant event for the global mobile industry. There is always speculation about Samsung launching devices at the show, but it hasn’t announced a phone there since it unveiled the Galaxy S2 at the 2011 event. 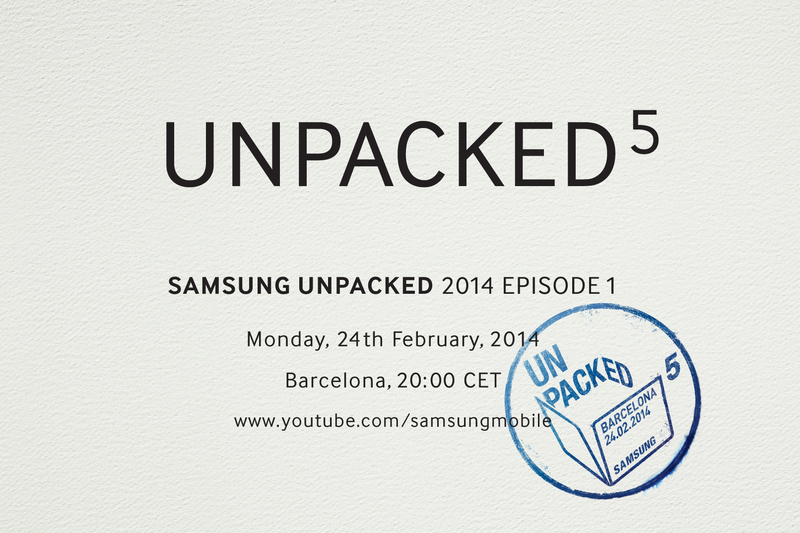 Samsung unveils its flagship Galaxy devices at its ‘Unpacked’ events. This event is tagged ‘Episode 1,’ raises the possibility that the device itself *could* be announced at a later date too. All will be revealed soon, and TNW will be in Barcelona to bring you the latest updates as they happen.